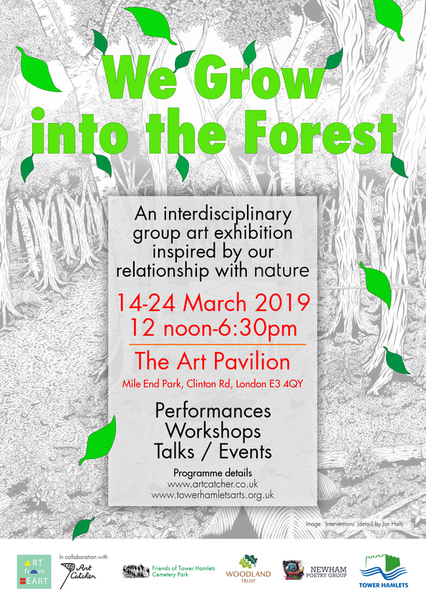 An interdisciplinary group art exhibition inspired by our relationship with nature, with an extensive, informative and engaging programme of accompanying talks, concerts, workshops and film presentations. Suitable for families. Singer-songwriter Lucinda Sieger presents songs inspired by nature. Accompanied by Ian Chappory, percussion. Share your own story of how you connect with nature. Facilitated by Judit Prieto of Art from the Heart, curators of the exhibition. 11am-1pm Make your own instrument! Phone or text 07799411587 to register. Stalls with great organic products and information stalls about sustainable living. 11am-1pm Nature blossoms: Celebrate Spring! 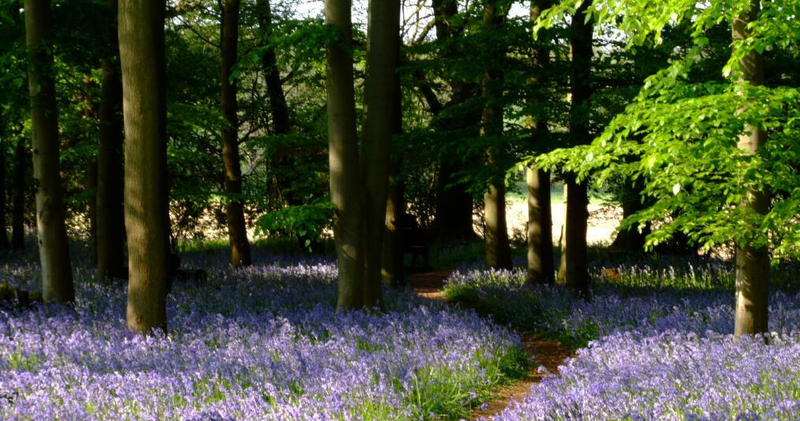 Join Ken, Manager of Tower Hamlets Cemetery Park, for a guided tour, he’ll show you the glorious variety of spring bulbs, woodland and grassland wildflowers blooming around Mile End Park. 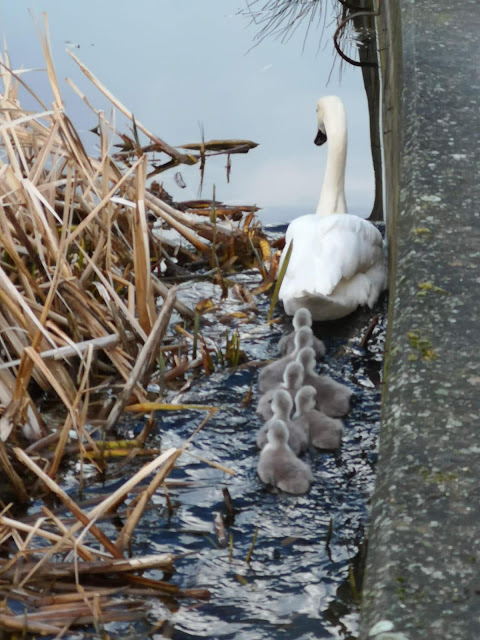 He’ll also give you an insight into their ecological value, food value and share a bit of their folklore! Workshop participants can perform their pieces to an audience. Pieces to welcome the new season by 24 singers of the Crofton Singers Choir. Stories of Women is a completely model-centred life modelling and drawing experience, presented by Spirited Bodies. This life drawing performance invites you into the branches of Esther's life as she explores her roots, untangles the threads and gets to know her knots. We have many ancestors and we awake them when we are truly alive. An experiential workshop to help deepen our connection with the natural world. Spending time both indoors and outdoors (Mile End Park), we will explore our relationship to nature, developing a renewed vitality and sense of belonging in the other-than-human world. We will work with a focus on using our senses and inhabiting the environment mindfully. 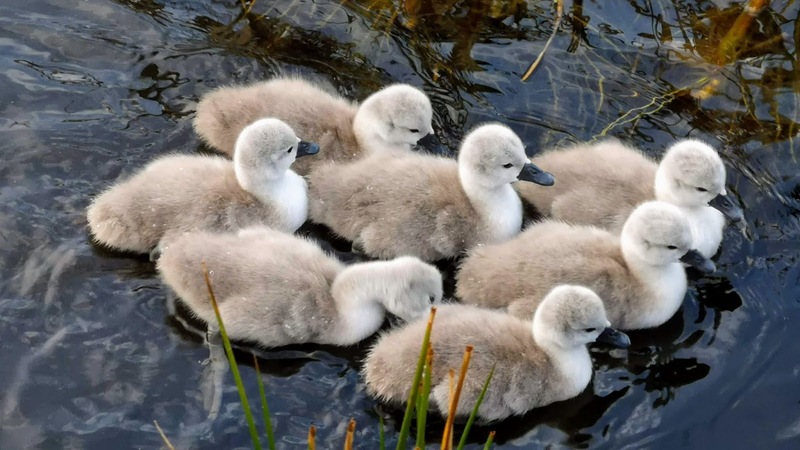 By gently contacting our childhood wonder and delight in our natural surroundings, we may discover that this whole planet is in fact, our home. Facilitated by Jo Goldsmid. Printmaking workshop for all ages using leaves and sustainable inks. See description below. Printmaking workshop for all ages. See description below. These workshops are great for beginners and those experienced alike, or just anyone creative wanting to have a go with printmaking techniques. They are fun inspiring hands-on course course that support participants to experience a range of alternative and unconventional processes. Everyone will experiment and create their plates and prints using unusual materials and media. Materials are all included and participants will be able to take home their templates and prints. Presented by Sarah Shorley the Woodland Trust, and presenting the Tree Charter. The Charter for Trees, Woods and People sets out the principles for a society in which people and trees can stand stronger together. The Tree Charter was launched in Lincoln Castle on 6 November 2017; the 800th anniversary of the 1217 Charter of the Forest. 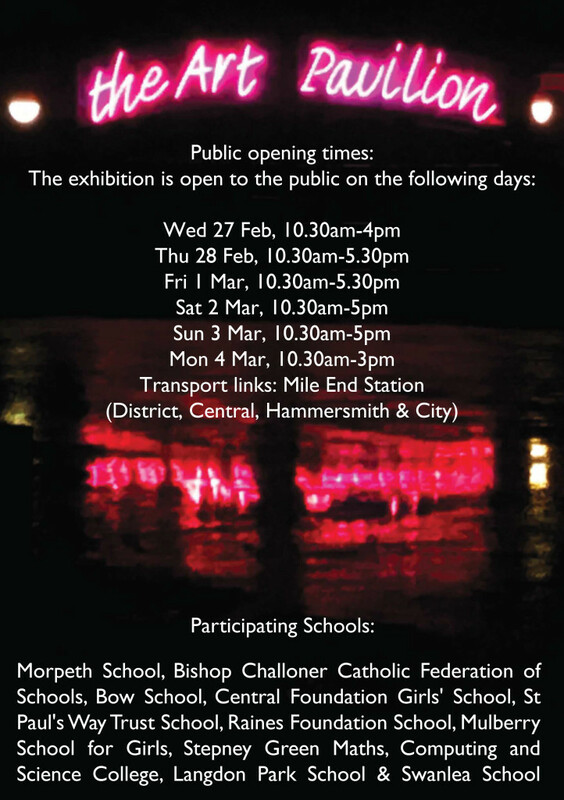 Young Amici, an inclusive London dance company, have created a short performance based on the themes of the exhibition. The 2nd ‘Spring’ International Photography Exhibition In London will once again be on display at the Art Pavilion in Mile End Park. This exhibition celebrates Chinese New Year 2019 with images provided by UK-China Photography Association, UK-Beijing Art Association, The Entrepreneurs Photography Society of China and Global Chinese Photography, organized by Opustique Infinity, with support from China Pictorial. 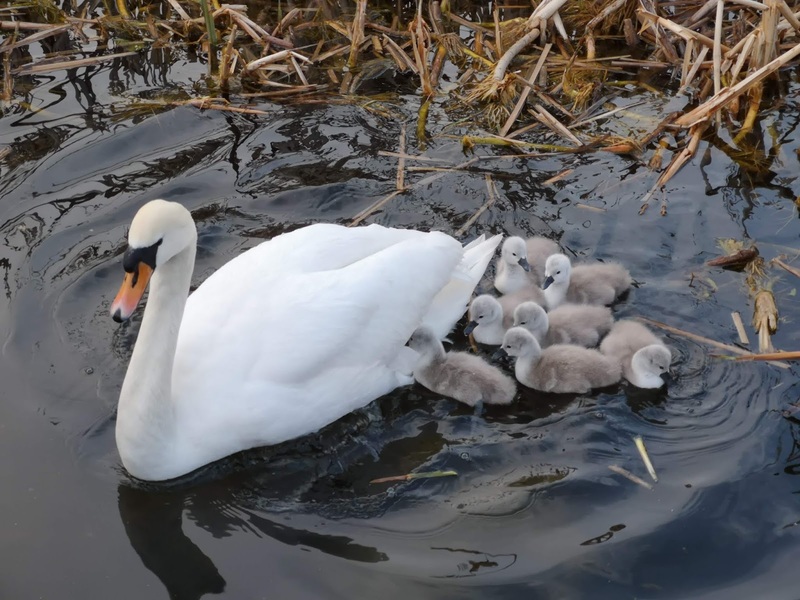 The exhibition includes subjects taken from both the UK and China which range from natural landscapes, wildlife and human interest stories to sites of touristic interest and more. All are on display to help usher in the Year of the Pig with a diverse and high-quality selection of photographs. There will be an open evening on 7 March from 6.30-8.30pm as part of the Whitechapel Gallery’s First Thursdays Initiative to which all are welcome. Artists exhibiting include: Zhikuan Hou, Tao Zhang, Dong Wen, Zhaolin Yang, Bo Song, Li Cui, Shuyan Zhao, Ping Zhang, Jintao Li, Chi Huang. All work will be available to buy at a charity auction from 2-4pm Sat 9th March. 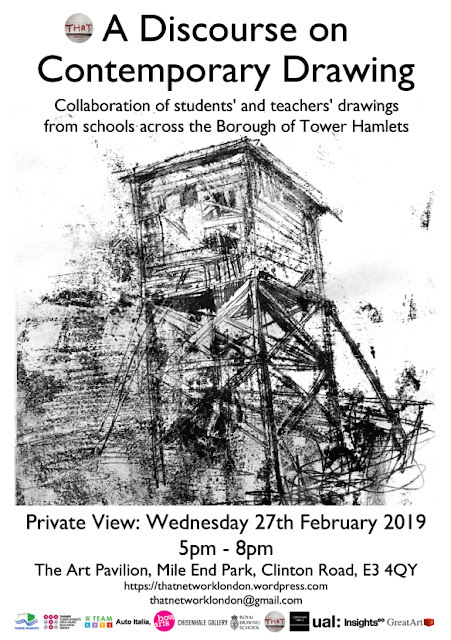 THAT (Tower Hamlets Artist Teachers) network presents a collaborative exhibition between art students and art teachers from across the borough of Tower Hamlets celebrating the practice of drawing. Alongside the show will run a series of workshops and seminars inquiring into various drawing methods for analysing the empirical, led by: UAL Insights, ‘A’ Team Arts, Royal Drawing School, Bow Arts, Chisenhale Gallery, Whitechapel Gallery and Auto-Italia. Mile End in 2-3 years? This coming Friday and Sunday, instead of our regular monthly litter-pick, we are holding a couple of bulb-planting sessions. These should be great fun for all the family. 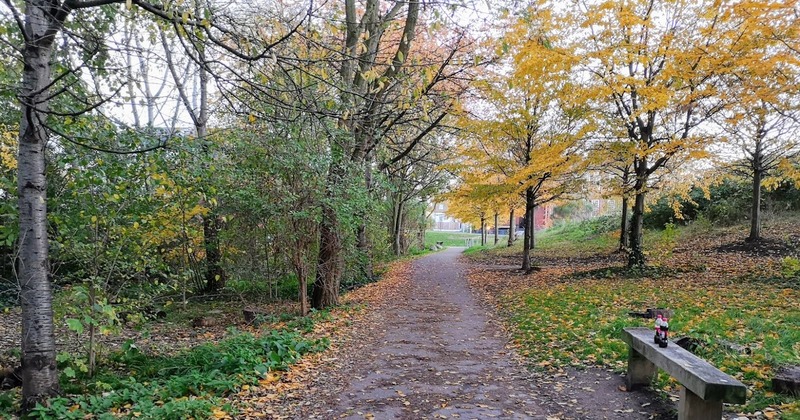 The Council have given us 6,000 bluebells and the "Grande Plan" is to plant bluebells in the section of woodland between Grove Road and Mile End Climbing Wall beside the railway. Whilst the area is no forest, anyone who has wandered through there will know it is actually surprisingly peaceful. Who knows, after a couple of years Mile End may have its very own bluebell wood to rival the Bluebell Railway. 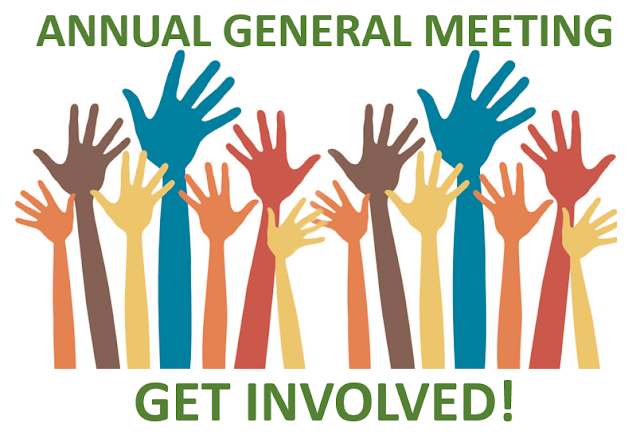 If you would like to come and help out then please email info@fomep.org.uk or just turn up. Further details below. 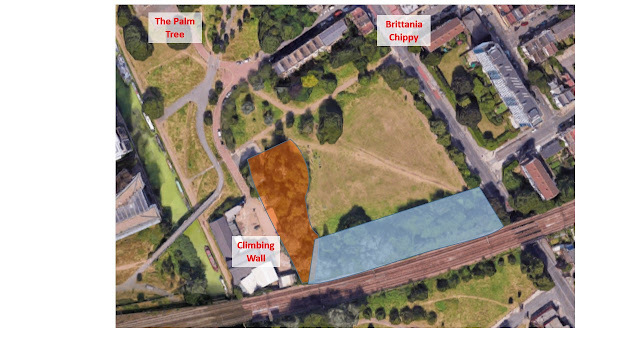 Location: The woodland area between Grove Road and the Mile End Climbing Wall (shaded light blue in the map above). 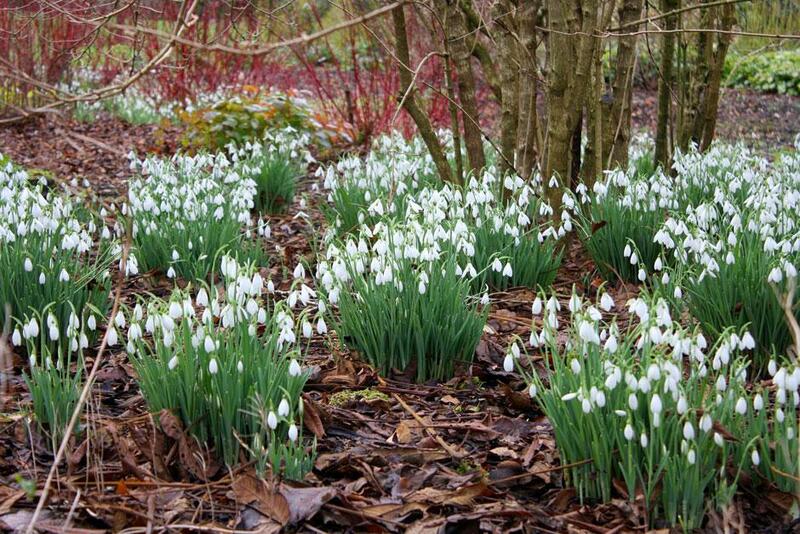 When: FRIDAY: 11.30-3PM; SUNDAY: 10-12 or until the bulbs run out! Equipment: We have a range of tools and equipment, but if you have your own (gardening gloves/bulb planter, etc) then you are welcome to bring them. Please wear sturdy/non-precious footwear. If you want to pop along for just half an hour or so then please do (preferably with Haribos). 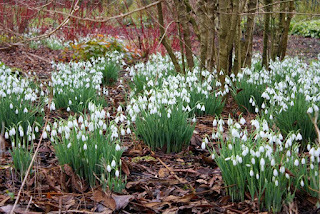 Next year we hope to continue bulb planting the area (planting bluebells "in the green" late Spring and more bluebells in the Autumn), and lots of different bulbs in the orange-shaded area above - the idea being that the wood transitions from a bluebell wood to a more varied planting regime as you turn the dog-leg by the climbing wall. 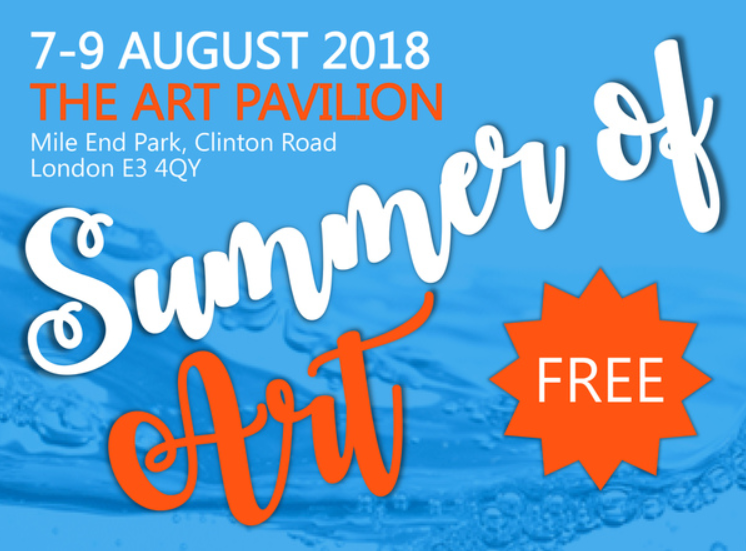 This summer immerse yourself in a cooling, watery exhibition at The Art Pavilion in Mile End Park and take part in free art workshops including painting, textiles and paper-based media. Participants will be able to contribute towards the creation of a large-scale and progressive sculpture; all inspired by the waterside location of the gorgeous, glass-fronted Art Pavilion building. 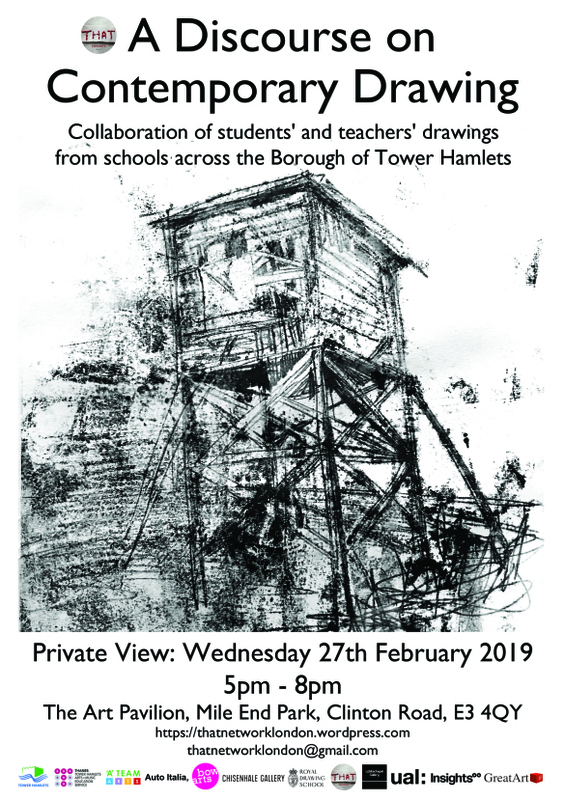 There will be an exhibition in the space featuring local artists David Ko, Jasper Deane, Alice Sielle, Virginia Hawke, Paula Haughney, Sarah Ainslie, Jill Fullbrook and Katja Rosenberg. Tuesday - Thursday 7 – 9 August 12-4pm Silk Painting with Jill Fullbrook. Workshops are suitable for all levels, including those with no previous experience. Open to all, but children should be accompanied by adults. The exhibition will be open from 11am-5pm with drop-in sessions from 12-4pm each day. Just turn up, no booking required. 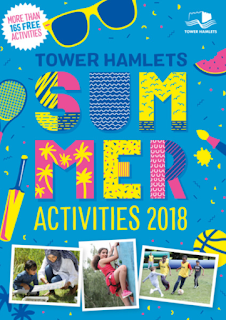 Tower Hamlets has released its booklet detailing over 165 free activities for children, young people, adults and the whole family. Lots of the activities take place in Mile End Park in the Children's play park, Art Pavilion, Eco Pavilion, Urban Adventure Base, Mile End Stadium or the Leisure centre.